Canada has been a dream destination for many people since ages and the desirability of settling in this country is only increasing year on year. The country on its part has been very liberal on its migration programs which are extremely systemized and transparent. The much awaited "express entry" migration program is the proof for the same. Under this program the eligible migrants can now have more defined and reliable prospects of their skill set and accordingly design their Career path even before landing in the country. 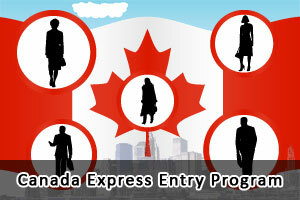 What Exactly is Canada Express Entry Program? The new electronic system of "Express Entry Program" is far more disciplined and systemized migration program from Citizenship and Immigration Canada (CIC). Prospective applicants should create express entry profiles, which will include their skill sets, educational qualifications and work experience. It is strongly recommended to register with Canada Job Bank for better ranking in the pool and to brighten the chances of receiving an invite to apply for the Canada PR visa with CIC. All the profiles that are found to be accurate will be move into the Express entry pool. The interested parties (employers/local authorities/Provincials) who have access to the pool will verify the profiles and accordingly issue an invite to the prospective applicants. All the individuals can apply for new Express Entry program irrespective of their occupations, contrasting with other Canada immigration programs, where an individual should hold experience in any of the occupation, listed on Canada’s eligible occupations list. The Requirements for Express Entry system is nearly akin to the Federal Skilled Worker Program (FSWP). In the new system applicants are not considered on the first-come-first-serve-basis, instead the focus will be on quality. Under the Express Entry system potential immigrants will be evaluated based on their education, language proficiency, Canadian work experience, age and other aspects that could lead to their success in the country. A maximum of 600 points are allotted for the applicant holding a valid job offer and a nomination by province and territory. Applicants are allotted up to 1200 points depending on the aspects in two various categories such as; 500 points maximum will be given on the aspects such as work experience, education level, age and language proficiency. And a maximum of 100 points will be awarded for skill transferability factors such as blend of education level, documentation in the trades and foreign experience. Applicants will be given a maximum of 110 points for age i.e. between 20 and 29 years. If you are interested to apply Canada PR through this system, fill out our Enquiry Form, so that one of our visa expert will get back to you.